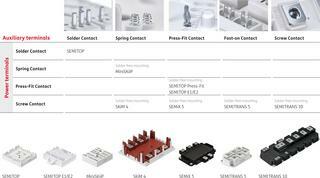 SEMIKRON offers an extensive range of 3-level power modules. Both NPC and TNPC topologies are available, covering a current range from 20A to 1200A, with voltages from 600V to 1700V. SEMIKRON 3-level power modules are the right choice whenever the quality of a voltage output signal is important in an application. Using 3-level topologies lowers the requirements for output filtering since the line-to-line output voltage contains less harmonic distortion with the same switching frequency, resulting in lower filter and system costs. A further advantage is the reduced inverter losses which boosts overall system efficiency. SEMIKRON owns over ten years of experience in 3-level applications, providing 3-level solutions in both NPC and TNPC topologies in a variety of packages and contact technologies. 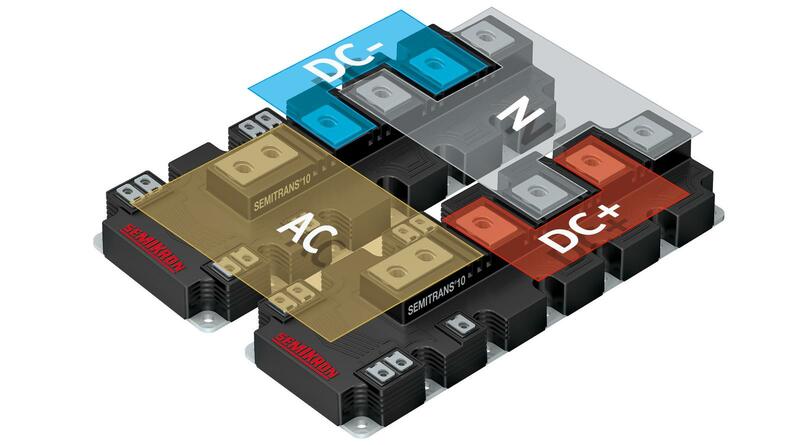 This allows SEMIKRON to create perfectly tailored 3-level modules for every application, with dedicated chipsets ranging from medium-power IGBTs to fast switching silicon carbide devices that enable 3-level technology to be used to its full potential. Further, SEMIKRON provides full application and design-in support with sophisticated simulation tools, evaluation PCBs and a fully assembled 3-level evaluation system based on MiniSKiiP. 3-level power modules are especially suitable for applications that need a high-quality output voltage with low distortion and as well as filtering on the output side, e.g. solar inverters and UPS systems. 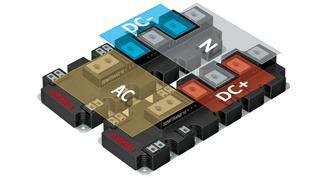 Especially 1500V solar applications can benefit from the higher operating voltage of 3-level topologies. 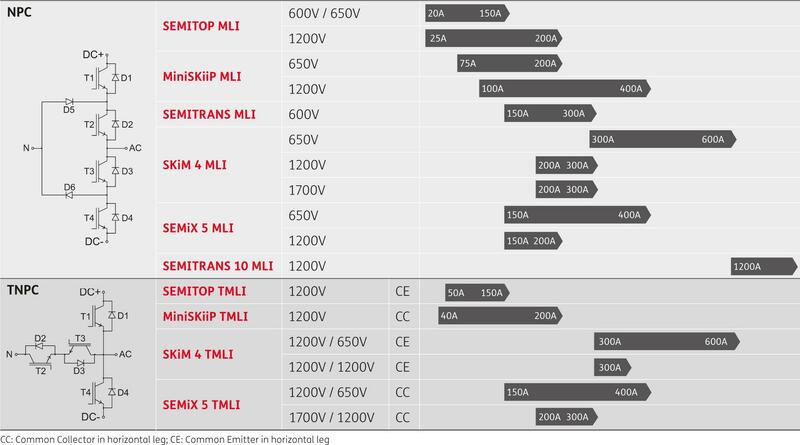 Today, the module portfolio covers a wide current range from 20A to 1200A with blocking voltages from 600V to 1700V in SEMITOP, MiniSKiiP, SEMITRANS 5, SKiM 4, SEMiX 5 and SEMITRANS 10 housing. 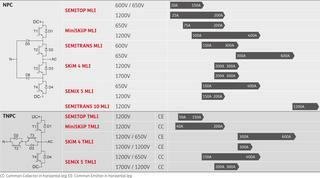 Our modules feature the latest chip generations from leading suppliers, including fast switching IGBTs and diodes. 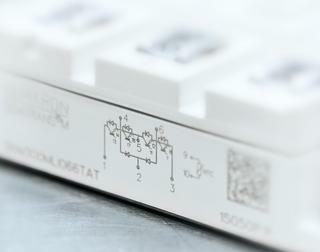 Silicon carbide chips are also available for optimised performance in your application. The SEMIKRON 3-level power modules cover the full range of SEMIKRON contact technologies to deliver maximum flexibility for your 3-level solution.